I do not come from the real estate world although I have a family background on the field. I received my Engineering degree as Naval Architect and Marine Engineer from the Polytechnic School of Madrid in 1992. Wanting to explore the world and looking for the best, I obtained two additional Master Degrees in Naval Architecture and Material Science from the Massachusetts Institute of Technology. The Engineering and Project Management baggage gave me the opportunity to start on the Offshore Construction participating in huge projects. In just two years I was nominated as Engineering Manager of the Offshore Division of the Spanish building company Dragados. The construction engineering of two of the key projects for this company was conducted by me: the Snorre B Platform (a 23.000 tons semisub gas platform) and the Oresund Bridge (the connection between Denmark and Sweden via a tunnel, an artificial island and a bridge). After leaving the offshore business, I came back to Marbella, my birth town, to manage the family business. A real estate group of companies dedicated to the development of land in the area of Benahavis. The companies were quite successful in the early years of the last decade. In 2008, I was approached by the brokers of RE/MAX Eralia, Leonardo Cromstedt and Hector Tramullas, to join the company. The proven systems and the different working philosophy of the company my attention. The company is about proceedings, marketing and customer service. For a number of years, the partnership worked smoothly. I was nominated as the second best associate agent of Andalucia in 2011, was the third in the Spanish ranking in 2012 (among 500 associate agents), was the second in the Spanish ranking in 2013 and was even invited as key speaker in the European (+10.000 associate agents) Convention. 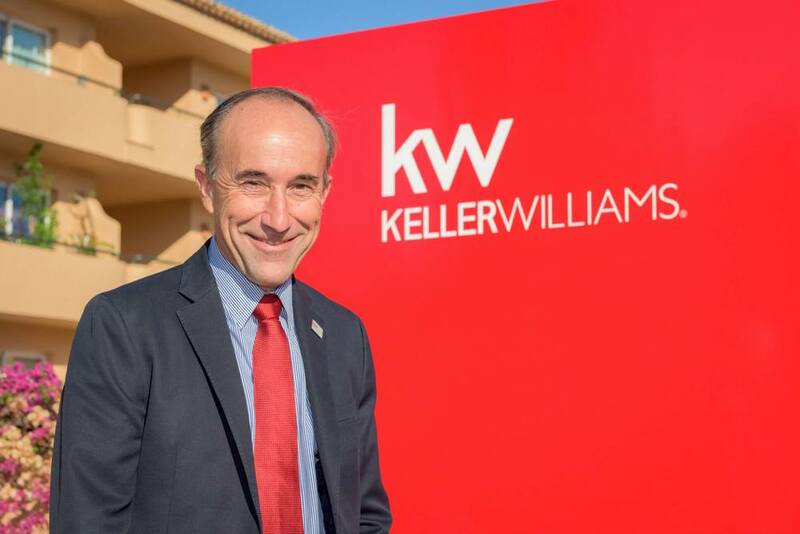 At the end 2014, I moved to the Keller Williams family, the biggest real estate franchise of the world by agent count, not only as agent in KW Marbella but also as Regional Director of Operations of Keller Williams Spain with offices, now, in Marbella, Almeria and Madrid. That is in just seven years! A lot of things to come! Before getting into this section, I want to give thanks to Leonardo Cromstedt, President of Keller Williams Spain, for the opportunities he has given me and to all my team for their continuous support, impeccable work and help. Without their support, my success would not have been possible. Key Speaker on the Positioning and Farming work of an Agent. Tools for a better positioning. In 2013, I obtained the designation as Residential Specialist after completing the courses and reaching the required credits. Panelist on Touch Marketing and how to maintain the constant contact with your clients at Megacamp 2015, the KW Convention of the 20% most productive agents of the franchise (+8.000). Presentation on the keys for the success as a real estate agent. Systems and models. Presentation on How to work your Real Estate Business as a Business? - how to manage your Small Data? Panelist on How to work with International Clients. How to find and attract foreign clients. Presentation to Real Estate agents on how to be successful. The key basic models. Presentation on how models and systems allow real estate agents to reach high levels of productivity and control their businesses for an increasing productivity. Panelist on how to maintain clients for live and work with referrals. Presentation on how the Technology is applicable to the work of a real estate agent. Awarded as Best Associate Agent of Keller Williams Spain in 2016.